When searching for a new apartment, whether your first or merely your first foray into luxury living, it’s critical to examine each and every factor, especially situationally. If you’re looking for a place to share with a roommate, a floor plan is worth looking into, as you’ll need a layout that properly accommodates both of you with ease. If work brought you into the area, then it’s all about location, location, location, as you’ll be after a place that gives you the proximity you need to work, and the closeness you want to things you enjoy doing. With both of those examined, comfort is the next factor to look at, which comes through with luxury apartment amenities and community amenities, which give you comfort within the home, as well as comfort outside the home with plenty to do. 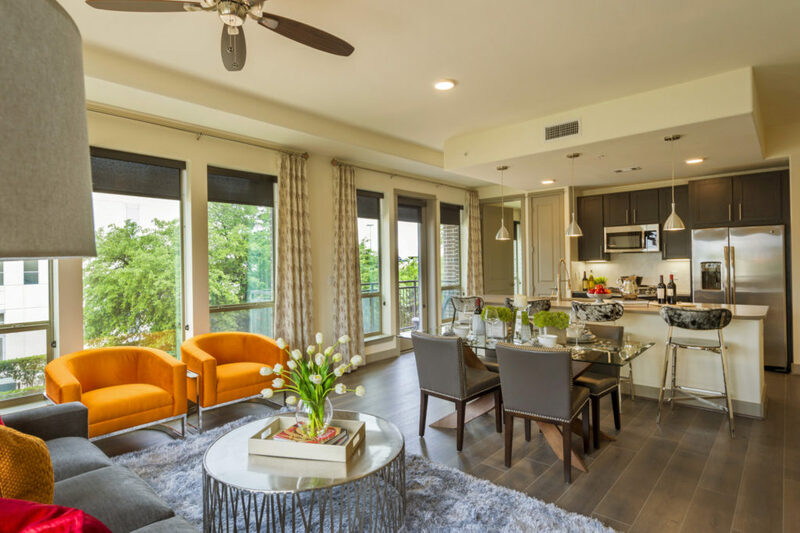 Here at Alexan CityCentre in Houston, we provide all of this with absolute ease, being both luxury and pet friendly, giving you everything you need to live life to the fullest. When staying with us here at Alexan CityCentre, you’ll be privy to the finest luxury apartment amenities in Houston, and we’re very proud of that. We provide not only luxury, but simplistic and solid bases for you to build on and turn your apartment into something you can really call home. This includes hardwood grain style flooring, which are absolutely gorgeous, easily maintained and cleaned, and easily complemented by our other luxury amenities; such as stained concrete, stainless steel appliances, Nest thermostats, and so much more. For more information regarding our luxury apartment amenities, or for anything else you may happen to be curious about, please feel free to contact, or better yet drop by our leasing office today to see exactly how great life can be when you spend it here at Alexan CityCentre in Houston!